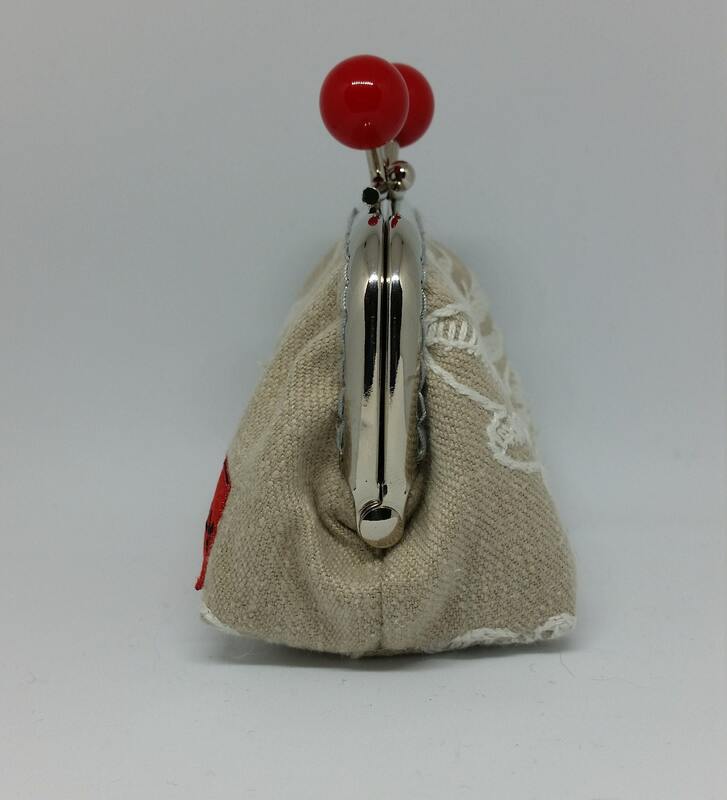 CP596. 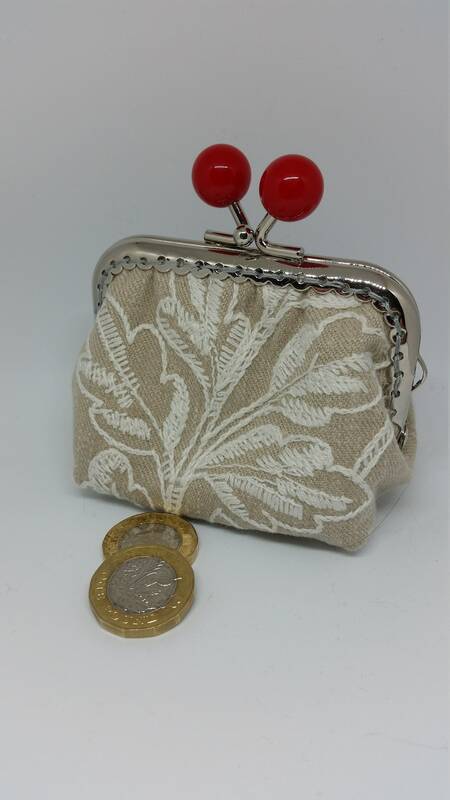 Small embroidered coin purse. 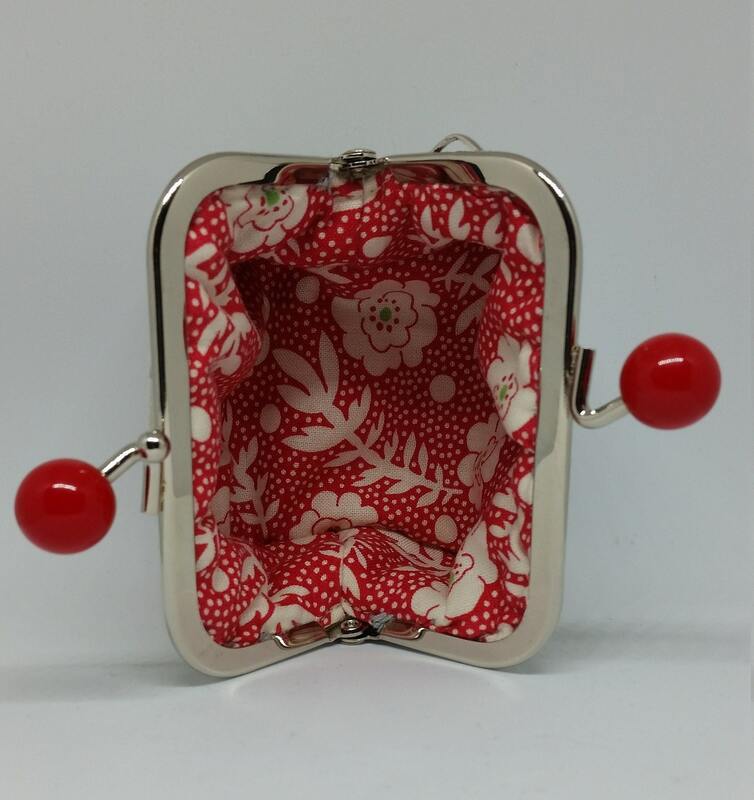 Chrome look kiss lock frame with red clasp. 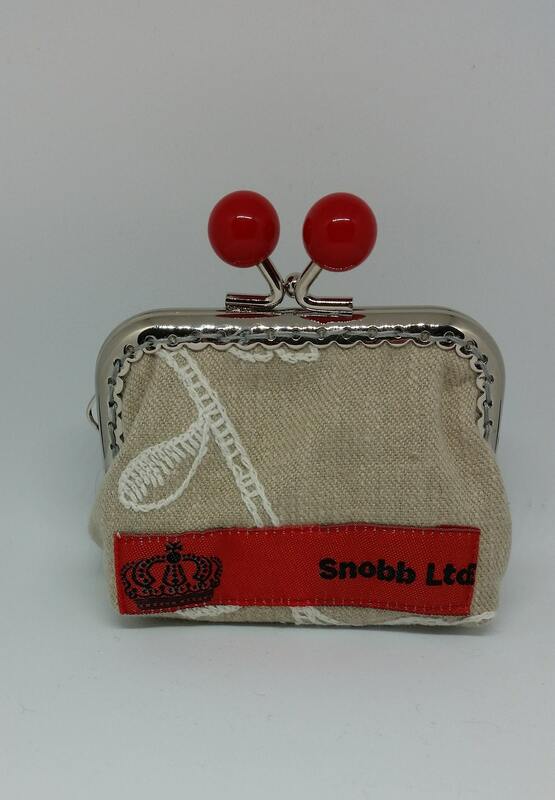 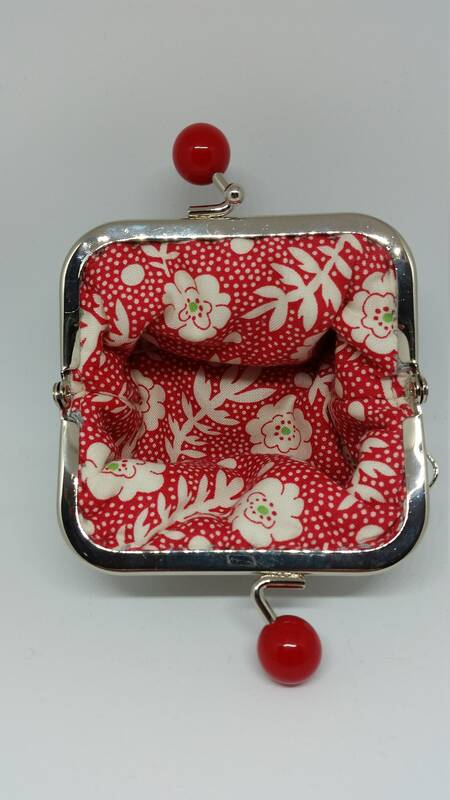 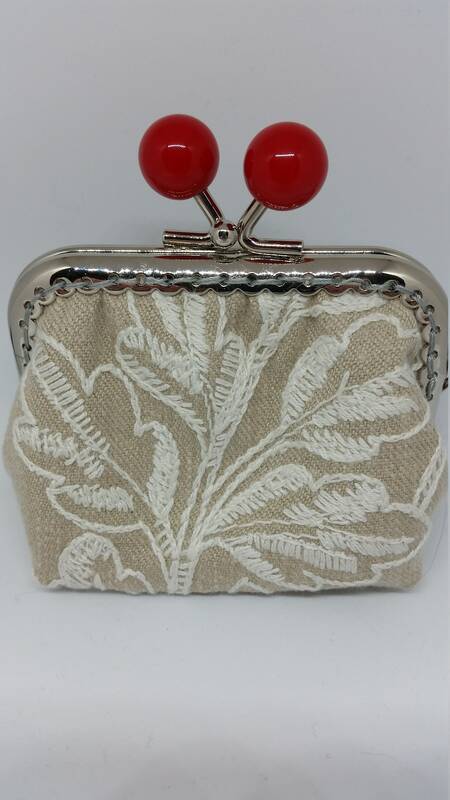 Purse is approx 8cm long 5cm wide and 6 cm tall.